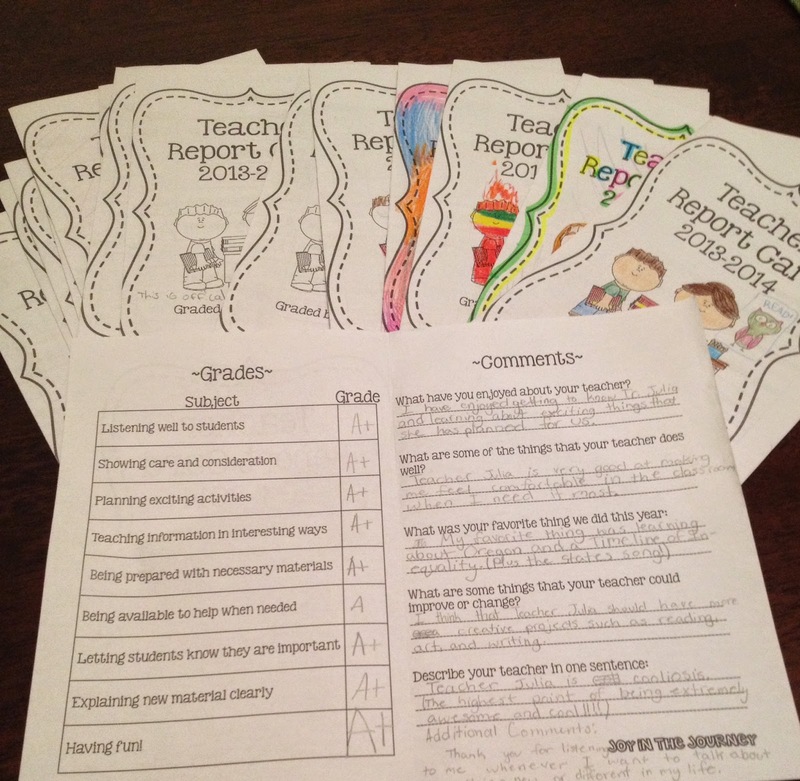 End of the School Year: Writing Reflection, Gifts & the TEACHER Gets a Report Card! It is the end of the school year for us and I am super bummed. How can this really be the end already?! It's strange because it feels like school just started, but on the other hand, when I think about all that was accomplished in the past 10 months, I find it hard to believe we got it all done! This week has been a whirlwind and I wanted to offer some great last week activities that kept the days feeling like normal school days (rather than that CrAzY last week of school!). This year my fifth graders completed 6 pieces of writing - WOW! At the beginning of the school year, I designated a bin in the classroom for their Writing Portfolios which was a special place for their final drafts. This bin lived in the Writing Center, and I always got a thrill after a rubric was completed and a student placed their writing inside. 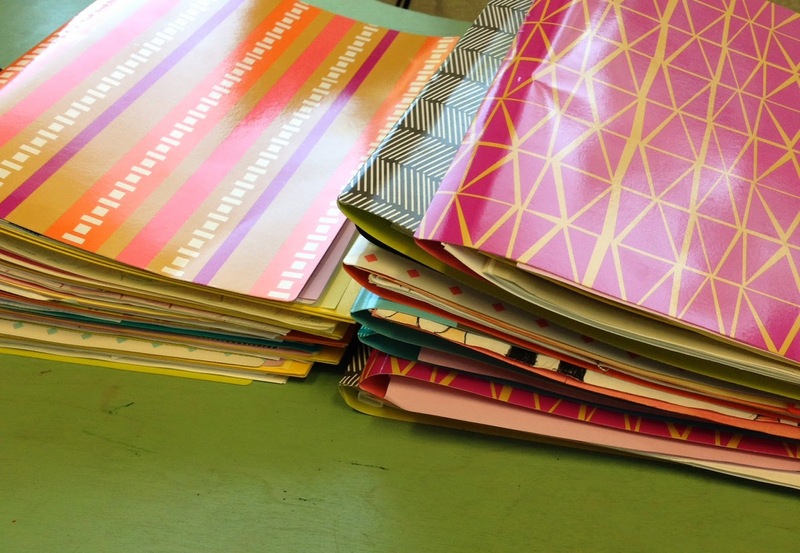 My plan in August was to have this folder pile up with all kinds of writing and in June, allow the students to easily reflect on each piece. Finally, this week they all got a chance to thoughtfully look through their journey in writing and reflect on all of their successes. You can find the document that I used here! I know that my students took this to heart because it was the last period of the day today, the day before the last day of school, and you could have heard a pin drop as they sifted through their work and wrote about themselves as writers. I am so excited to read through their responses! Say it isn't so! The teacher gets a grade?! Well, I found this idea on another blog and had to do it! Essentially, you get graded by your students. To guide this, I brought my students together in a circle and we talked about how important it is to always grow and improve and how best to make that happen in different situations. I told my class that they are the ones who know me best and are the only people who can give me the feedback I am looking for. So they promised to be honest, I took a deep breath, and handed out my report cards to my fifth grade students. 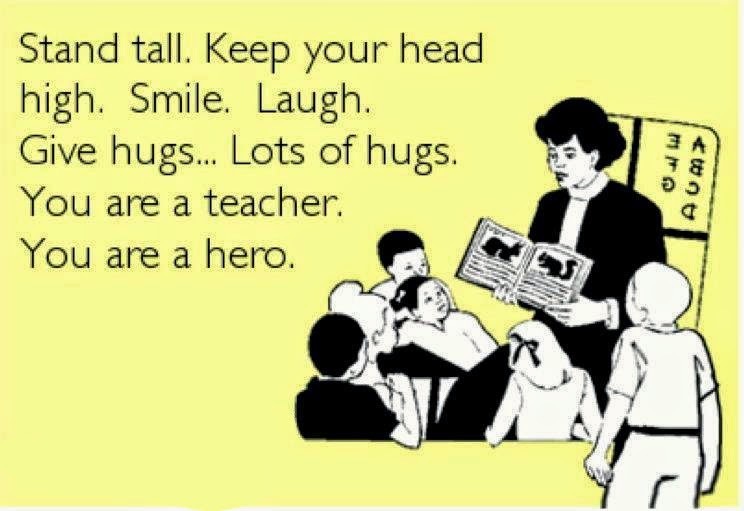 I must say, EVERY teacher should do this! What a window into their thoughts! I will treasure these forever. You can find them to download here. Included with the disc is something else. At the beginning of the year, we read Maniac Magee by Jerry Spinelli and the character, Maniac was obsessed with butterscotch Krimpets. Being from PA, I grew up loving the same snack. However, my NC natives had no clue what this treat was when we read the book! However, they fell in love when I brought them in for a tasting after we finished the book. I haven't heard the end of how great this sugary cake is! So, naturally, I added this to their gift. 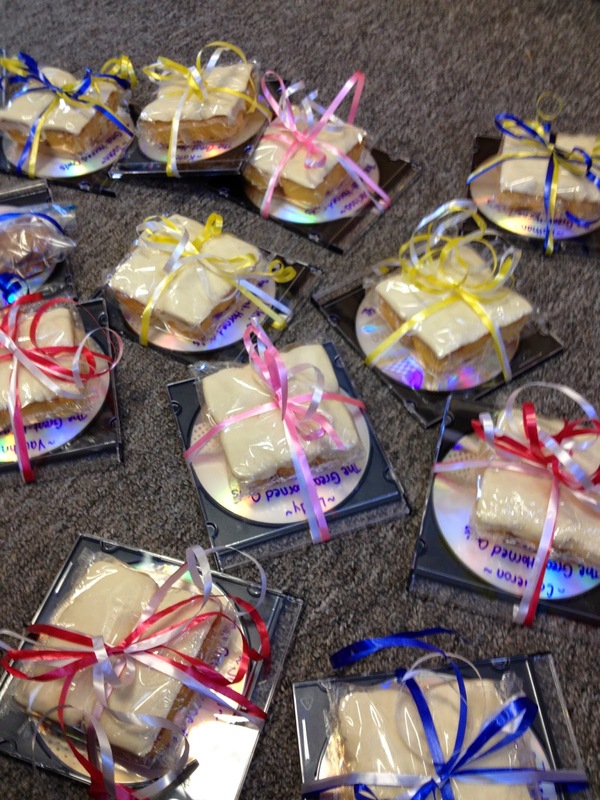 What do you do to celebrate the work that was done throughout the school year? How do you keep structure and excitement during the last week of school?